What is a sleep schedule? It starts off with just having a cup or two of 3-in-1, you know, just to stay alert during the work day. Then you graduate to brewed coffee, then maybe 2 cups a day isn’t enough, and you decide to ditch the milk.. Suddenly you’re at 8 ventis a day and before you know it you’re walking around the office hooked up to a litre bag of espresso via IV insert. 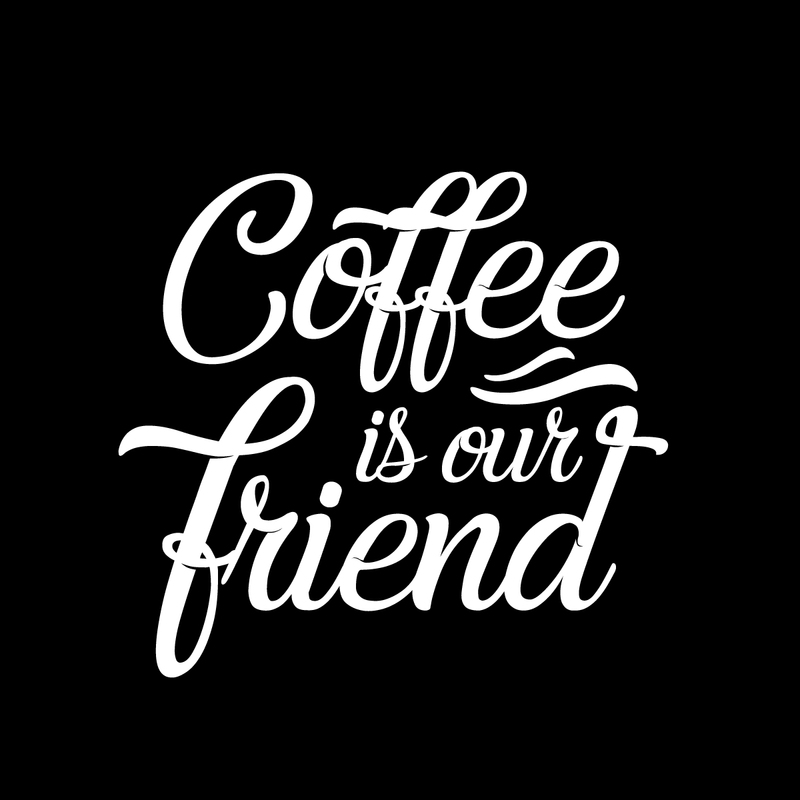 COFFEE IS OUR FRIEND. Being in the arts, we need to keep up with the times. With the rise of social media and easy-sharing platforms, trends in design are popping up like wildfire; we need to stay updated so our work doesn’t get outdated. A lot of our time is spent researching to help us conceptualise great ideas, then the rest is actually putting them to work. There is no set standard for design. 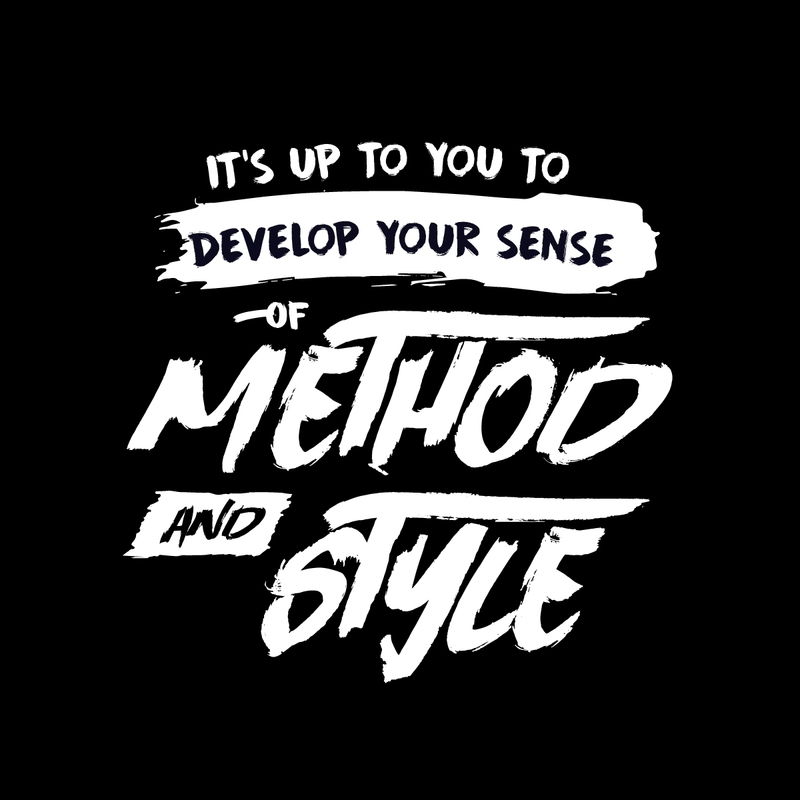 Once you get the foundational skills down, it’s up to you to develop your sense of method and style and it can be the most liberating thing. And if your agency is nice enough, this rule extends to clothes. Casual Fridays all day errday, baby!! A designer-client relationship can yield great results, sometimes without a fuss, but other times it can make both parties want to pull their hair out from frustration– and that’s why our team wears wigs, we don’t have anymore hair. The more difficult the client is, whether it be because of vague creative briefs, endless revisions, or multiple last minute changes, the harder it is to get things done efficiently. 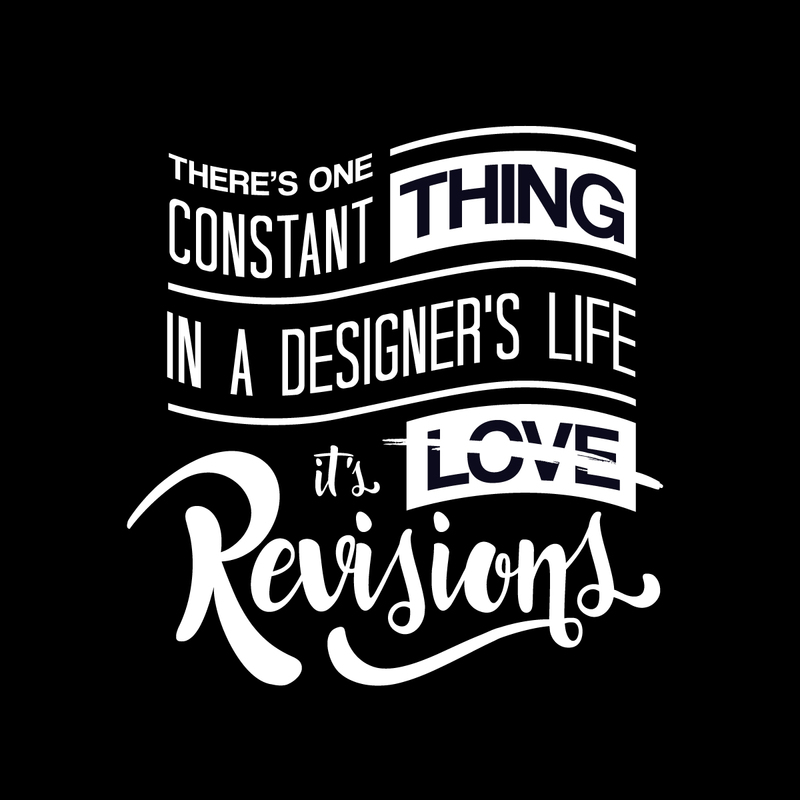 There’s one constant in a designer’s life, it’s love revisions. They’re there for learning experience sometimes, but other times they just prolong the process. A few revisions are doable and productive because it really does take a team effort to make a great design, but when a client gets very nit-picky about the most trivial details, it becomes a waste of time for everyone. One thing to note about revisions if you’re a client is if we insist against something you want to change, it’s probably to better deliver the brand message you’re trying to convey. Trust us, we know what we’re doing and the Papyrus font is NOT a great idea. Don’t even get us started with Comic Sans. Why don’t you catch us outside, HOWBOWDAH? What some clients don’t realise is a lot of times, the simpler the design, the more brainstorming and planning was put into it to get it to the clean image you see in front of you. Think about it– we take an entire creative brief and somehow turn all those words and explanations into one simple image that reflects it all. We use the minimum number of design elements to deliver the message in the most impactful way possible. If we had a dollar for every time we’ve gone through this song and dance in our careers, we actually could be working for exposure. We’ll even throw in a free puppy for your support. Unfortunately for us, we can’t live on exposure, but if you find a way, please, let us know! Good design is worth investing in – otherwise you may only get what you pay for when it comes to free design help. 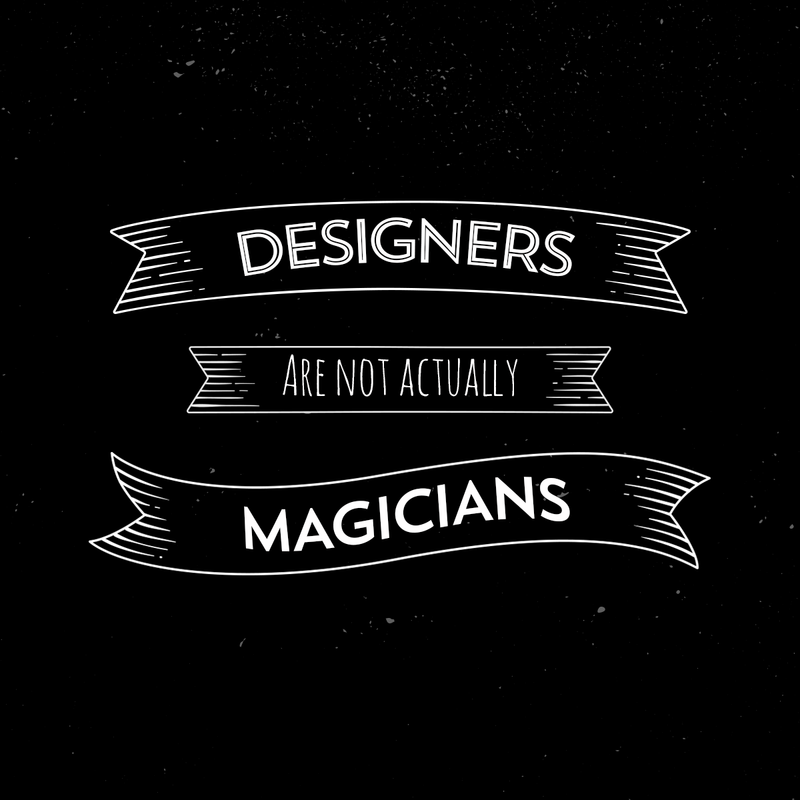 Yes, the concept of turning a thought into a tangible reality is almost magical, but designers are not ACTUALLY magicians. So we’re sorry if “based on the reference attached, design something that’s exactly similar but entirely different. I can’t explain what I just said but just create something. I know you can do it” JUST. WON’T. CUT. IT. One thing we need? DETAILS! Write us a novel of the idea you have, we would appreciate it more than “give me the essence of this feather.” Talk to us, we don’t bite… most times. “Hi yes, can you make me this super great design with the most intricate of details by end of day? Kthxbyemwahugs!” You hired designers, not The Flash. The city of Rome wasn’t finished by the end of the business day, so please be reasonable. Like any conflict in relationships, we can talk it out and meet halfway so everyone’s happy. Design, can be tumultuous and stressful, especially when working with other people. 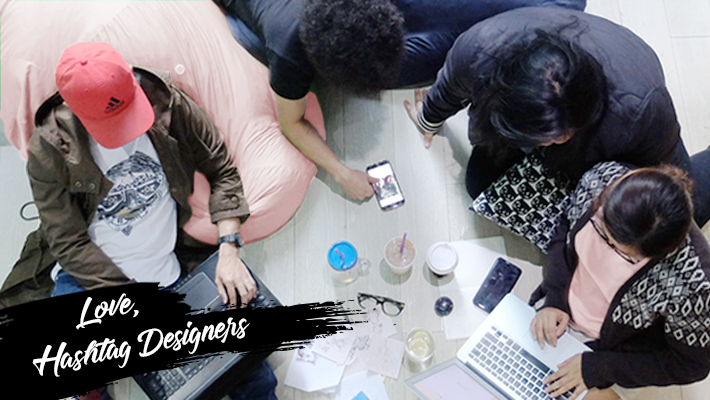 Turning an idea into reality is difficult, but more often than not it takes different personalities, styles, opinions, teaming up and collaborating to come up with a kickass campaign. Having said that, the process comes with the arduous task of aligning all ideas through a series of figurative (and maybe some literal) acrobatics and back-and-forth revisions to get the main message out. 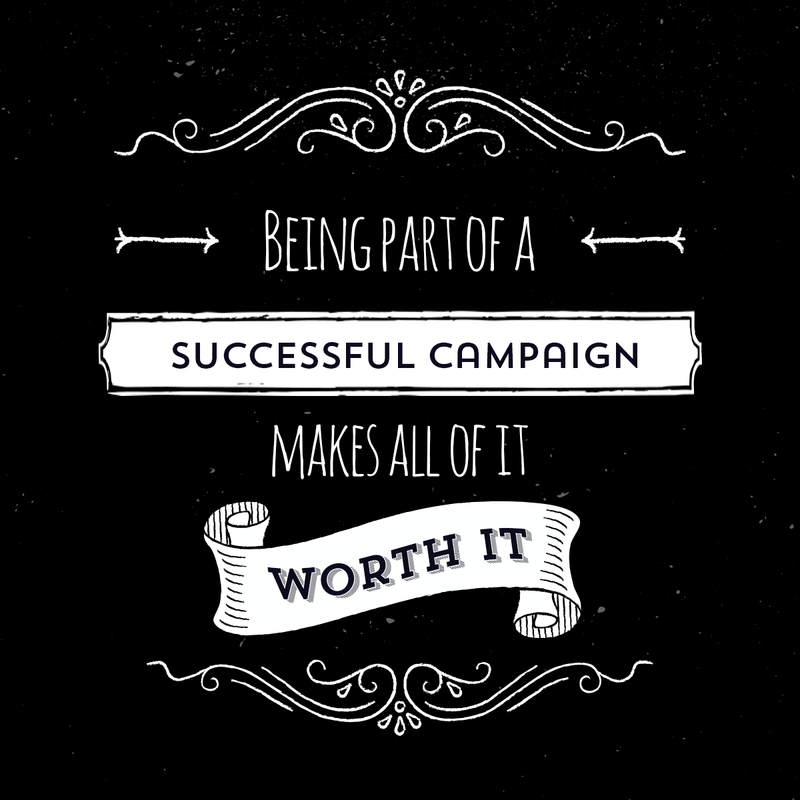 Butwhen you are part of a successful campaign that reflects the work you put into it, suddenly the countless revisions, crazy deadlines, and lack of sleep becomes worth it. No matter how many projects we encounter, the finished product makes us want to throw our wigs in the air and rock the air guitar with our coffee IVs out of happiness from a job well done.